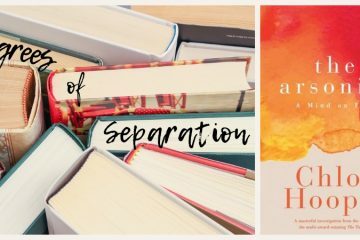 Welcome back to the bookish version of Six Degrees of Separation, hosted by Kate from booksaremyfavouriteandbest. Participants start with the same nominated book title, and link it to six others in any way the mind makes connections. Anyone can play, including you! This month, we’re starting with one of my all-time favourites, The Outsiders, by S.E. Hinton. I’m still blown away to realise that Hinton started writing The Outsiders at 15 years of age, and that it was published when she was 18. 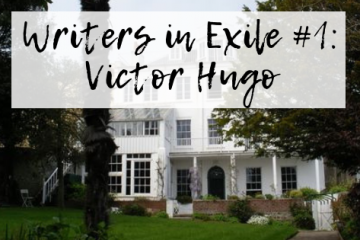 I was attempting to write novels at the same age, but they were usually badly written teenage romances that were never published, and certainly didn’t last the test of time, as The Outsiders has done. After reading My Invented Country recently, I turned to one of Allende’s more recent novels, The Japanese Lover. 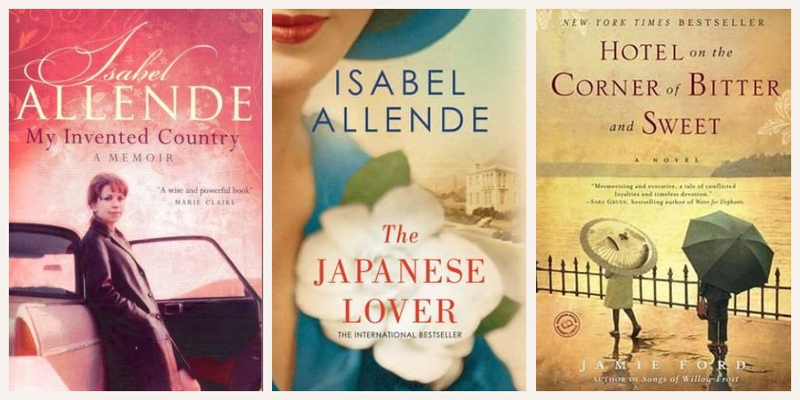 The Japanese Lover moves between the present day and the years of the Second World War. One of the characters is Ichimei Fukuda, who is sent to an internment camp with the rest of his family, despite having been born in the United States. Hotel on the Corner of Bitter and Sweet by Jamie Ford also deals with the internment of US residents and citizens of Japanese descent during the Second World War. Japanese citizens and soldiers were interned in Australia, too. This is the focus of Anita Heiss’s novel Barbed Wire and Cherry Blossoms. Heiss writes about an incident when over 1000 Japanese soldiers break out of the No.12 Prisoner of War compound on the fringes of Cowra. Many are recaptured, some are killed and others take their own lives. One soldier, Hiroshi, manages to escape and finds refuge in a nearby Aboriginal mission. 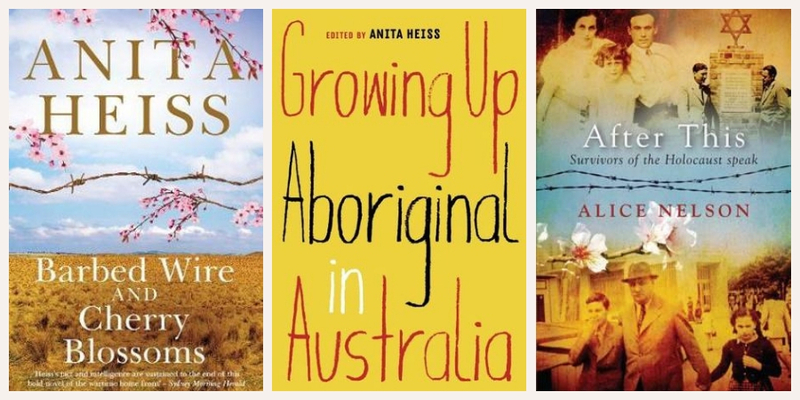 Anita Heiss has edited an anthology, Growing up Aboriginal in Australia, which offers readers the opportunity to hear from a variety of voices about what it’s like to be Aboriginal in Australia. I haven’t read this yet, but it comes highly recommended, and is definitely on my to-read pile. After This by Alice Nelson also provides the chance to hear about life from other perspectives. In this case, it’s from Holocaust survivors who ended up building a life in Western Australia. The stories are a result of a series of oral histories conducted by Nelson. She says she edited the stories with a light touch so as to honour the voice of each storyteller. The accumulative effect is devastatingly powerful. While I never know where my 6 Degrees of Separation will lead, it appears this month’s chain has a common thread: the power of story to offer insight into lives that are not our own. I’ve gained insight into the experiences of teenagers growing up on the ‘wrong side of the tracks’; a Chilean living in exile; the Japanese interned during the Second World War; being Aboriginal in Australia; and the impact of surviving the Holocaust. None of these are my lived experience, but through the written word, I can develop empathy, understanding and respect for those for whom these stories are real life. 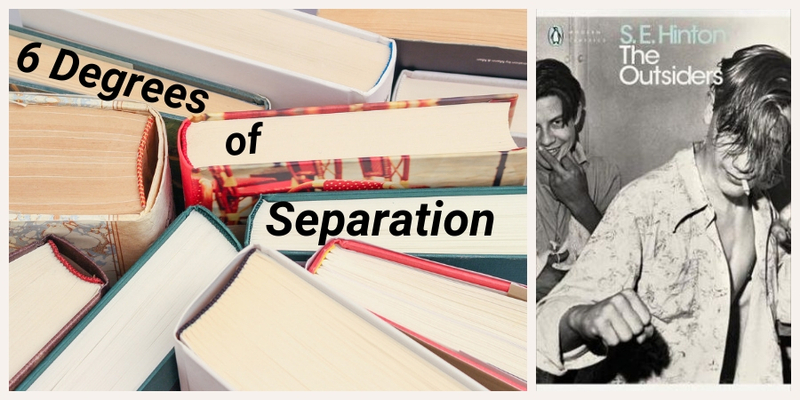 Where will 6 Degrees of Separation lead you? Next month, we’ll be starting with Vanity Fair by William Makepeace Thackeray. Very much liked how you kept the theme of ‘outsiders’ through your whole chain. It is extraordinary to think of how young Hinton was when she wrote the book – maybe that’s why it’s so good, because she knew no fear? In Rob Lowe’s memoir, he tells of going over to her house for dinner, so they could get to know each other (and that she could give her approval for the actors chosen for each part, which incredibly wasn’t decided until late – they chose the cast and then decided who they would play!). I didn’t realise I stuck to the theme of ‘outsiders’ – it certainly wasn’t deliberate! I really want to read Rob Lowe’s memoir now, just to read about when he met S.E Hinton. Hi Brona, it would be so interesting to compare (or contrast) what you learned about the Cowra breakout at school given you lived there with the official histories and then the perspective from which Barbed Wire and Cherry Blossoms is told. This is what fiction has to be about and why I find it endlessly compelling: ‘the power of story to offer insight into lives that are not our own’. Thanks so much for articulating this! 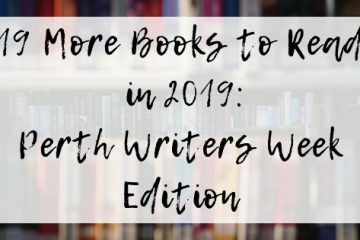 You’re welcome – and I think you’re right about the connection between insight into other lives and why fiction (and some non-fiction) is so compelling. I loved the thematic thread through all your books, and yet such different sorts of outsiderness. 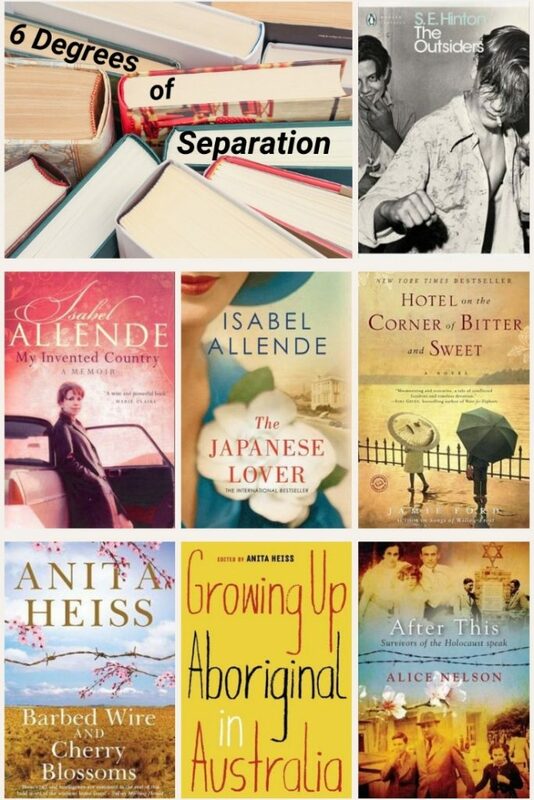 I haven’t read any of yours, though have read others by Allende and Heiss. I didn’t immediately pick up that I had continued the theme of outsiderness, perhaps because they were all quite different, but you’re the second person to point that out. Funny how the mind works, isn’t it?